How to Know If You're Cut Out to be a Blogger - What's up Blogging? Whenever I tell someone that I blog, most people seem to have no idea what it is I do. Sometimes they know someone who has a blog, and often it is a family update blog with pictures of that’s person’s home and family. Others know blogs because they pin recipes, DIYs, pictures, and crafts on Pinterest and understand that the content by and large is generated by blogs. Most people still have no idea who I am and have never stumbled their way across my blog. I’m not some mega blogger with millions of pageviews or followers and have never truly had what most people would consider viral traffic (thousands if not millions of views on a single article). But, I still make money blogging. And not just a few hundred dollars a month. This year I’m earning a full-time income. Last year I made a good part-time income. The great thing about blogging is that I’m my own boss, pick my own hours, work from home, write about what I want to write about, take time off whenever I want, and work less than 40 hours a week. In actual work hours, I’m probably closer to 15-30 hours a week. 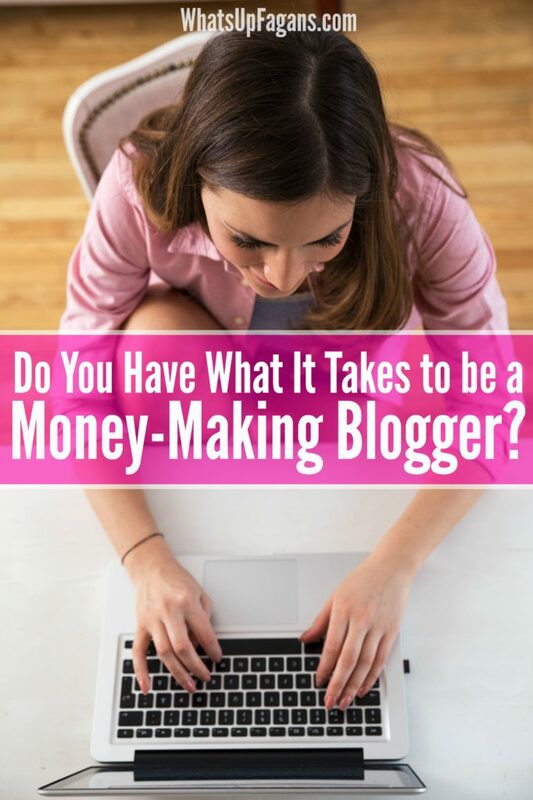 To a lot of people looking for extra income, or a job they can do from home, blogging sounds awesome, and they want to know how they can do it too. Because of the great need and/or desire many (especially women) have to make money from home, I have decided to start sharing my secrets here on my own blog. I have always been free with my advice and tips for others, but it’s usually to people who are already bloggers. Now, I want everyone to know. In the coming weeks and months I will share great tips on how to be a professional blogger right here on What’s up Fagans?. It is my hope that with my tips, advice, and resources, that you too can be successful at earning a full-time income from home doing something that you love to do. If you really want to make blogging your stay at home career, you really need to make sure you should go down this road, and gauge whether you will be successful at having a money-making blog. 1. You have an idea, a purpose, a hobby to share. Because blogging relies on you and your voice as the driving momentum, you have to have something to write about! If you are passionate about early childhood education and love coming up with creative kid crafts and activities, you could be a blogger. If you love cooking or baking and your recipes are unique and delicious, you could be a blogger. If you love remodeling and decorating your home and are always working on some DIY project, you could be a blogger. If you are passionate about home and family life, and willing to share your joys, struggles, and advice to other parents, then you could be a blogger. You have to have a purpose, a passion, and a drive to share your knowledge and love with others. It doesn’t matter so much what your niche is, but that you have something to say about it. The internet makes it so that you can write about most anything and be able to find an audience. Pets, exercise, health, motivation, games, tech, education, religion, parenting, crafts, beauty, saving money, food, business, sports, movies, travel, photography, books, sewing, politics, or organization: all blog-worthy topics! You have a why for starting a blog. It will help carry you through and solidify your blogging aims as you grow your business, even if the why changes over time. 2. It is the right time for you and your family. Is life a tad too crazy with a new baby or running kids to various activities? Are there medical issues going on? Are you otherwise dealing with a stressful situation? I’m not saying these things should or will prevent you from blogging, but you have to prayerfully consider if investing a good amount of time and energy into a new venture is what you should be focusing on right now. You should not force something that isn’t right for you and your family, at this time. What’s up Fagans? started initially as a family update blog way back in 2009. It wasn’t until 2013, after my third child was born, that I felt really prompted to officially turn my blog into a business (I’ll tell you how to start a blog in my next post). It was a ton more work than I initially thought, but I felt prompted by God, and my decision confirmed that this was the right path for our family to take. It took a few months to make money once I made the decision, but now, a little over two years into blogging professionally, I see that the timing was right for my family. So pray about it. It could be a great time to prepare for your big foray into the professional blogging world instead of launching it. Create a blogging plan of attack for when the time is right. Honestly, planning a lot before you invest yourself fully will greatly improve your chances of making money quicker. 3. You are willing to commit. Blogging professionally is much more time consuming than blogging as a hobby. There are lots of hobby blogs out there, but they won’t be paying anyone’s bills anytime soon. The reality is that blogging to make an income will take a lot of your time, energy, and focus. You have to be willing to commit to your dream and your goals of being a professional blogger. There will be many frustrations along the way as you struggle to increase pageviews and revenue, but you have to stay committed to figuring out something else and doing more that will help your blog turn into a successful business. 4. You are willing to learn. A lot of people still think blogs are nice stories and pretty pictures, but blogging professionally entails so much more than writing words and posting pictures. Blogging is an ever-changing and ever-growing business. You can’t just do the same thing over and over again and expect to see steady growth, or any growth. 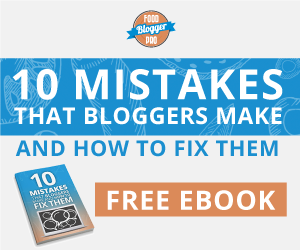 You need to be willing to continue to shape your blog and improve it again and again. As a blogger you are much more than a writer. You are an entrepreneur, a marketer, a saleswoman, a website designer, a social media manager, a photo editor and photography. You know quite a bit about domain names, hosting, website design, CSS, HTML, disclosures and the FTC, SEO, widgets, plug-ins, sidebars, advertising, monetization, networking, photography, photo editing software, social media, footers, headings, mailing lists, affiliate marketing, banners, scheduling tools, tags, and hashtags. Thanks to the internet, most of your questions can be researched and figured out on a DIY basis. But, you have to be willing to do that research and take the time to learn. Thankfully some tasks can be hired out if you really are clueless about tech stuff or social media or whatever, so don’t fret if you are hopeless in certain areas. There is help, but you will still need to learn a lot. 5. You are a good writer. Blogging is word-heavy. 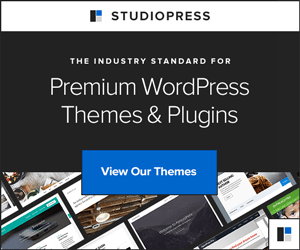 Sure pretty pictures and DIY instructions can carry a blog far enough; however, truly great blogs engage and connect with their readers, turning them into fans, rather than one-time visitors. You have to be a good to great writer to be a successful blogger. You can’t just free-flow write each and every post, typing whatever comes to your mind, and rely on spell check to make it legible. If you don’t know how to proof-read, edit yourself, be concise, use correct grammar, format a post, or tell a great story, you likely won’t get many fans other than family and friends. You have to be willing to be objective and view your words from another’s advantage. You, again, have to be willing to improve your craft! 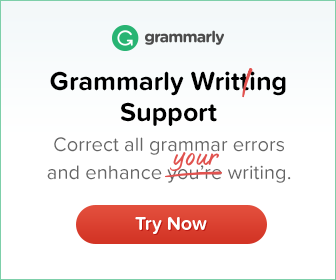 While a lot of people are forgiving of a few typos and grammatical mistakes every now and then, improper usage of the English language repeatedly, and writing like a seventh grader, probably won’t get you very far as a professional, paid, blogger. You do not need to be excellent, or the best around, but you need some basic skills, or be willing to put a lot of effort into learning how to write better. Because, at its core, a blog is still based upon your words and your original content. 6. You have an eye for aesthetics. Blogs are a photo-heavy industry. You need to be able to properly take, crop, edit, and add text to a photo in an appealing way. While you can mostly use stock photos and use software programs and presets to help you make images, certain blog niches or posts will require original photography. Buying a nice DSLR camera, good equipment, and enrolling in great classes photography classes can help in those situations. But, if you don’t have an eye for aesthetics or what makes a picture high quality or not, blogging may not be great for you. However, this one is not as make or break, because a lot of people are very forgiving as you learn your way around the design and photography world. Plus, you can always go back and update old photos as well. Once you get into blogging professionally, you’ll discover that there are lots of small things that can occupy your time. Time management and organization begin to be very important as a blogger. Every very successful blogger I know is organized. They have editorial calendars, times they attend to certain tasks, short-term goals, long-term goals, and know where to spend their time in order to reap the largest return. I’m not quite there yet, but I do have at least certain things I do to keep organized and on top of my goals. Plus, there are lots of great scheduling tools to help you stay on top of your to-do lists. 8. You believe in yourself. Self-doubt is that nasty foe we all face. You need to believe in yourself, your worth, and your value as a person and a blogger. Haters and internet trolls will find you and leave you nasty comments. You need to be able to move past their attacks and negativity and remember why you are blogging. You need be strong enough to not quiet your voice and your mission because of a few naysayers. You also need to believe that you can succeed. That you can be a successful blogger. That someday you will make money. Blogging is not a get rich quick endeavor: the first paycheck may not come until several months after you started your blog. You need to continue to believe in yourself during those first few months as you learn the ropes and find your unique voice. Blogging can be a very awesome, fun, and financially rewarding endeavor but it isn’t the right path for everyone. I hope that you will consider whether or not you could hack it as a blogger. Pray about it. Talk to your spouse. Talk to your best friends. Talk to other bloggers and ask them read your work and see if you have potential. Ask your friends for honesty about your writing, crafts, recipes, or photography. See if they believe in you as much as you do! Chances are they do. I hope you are ready to dive head first into this exciting new part of your life, a new career as a professional blogger! 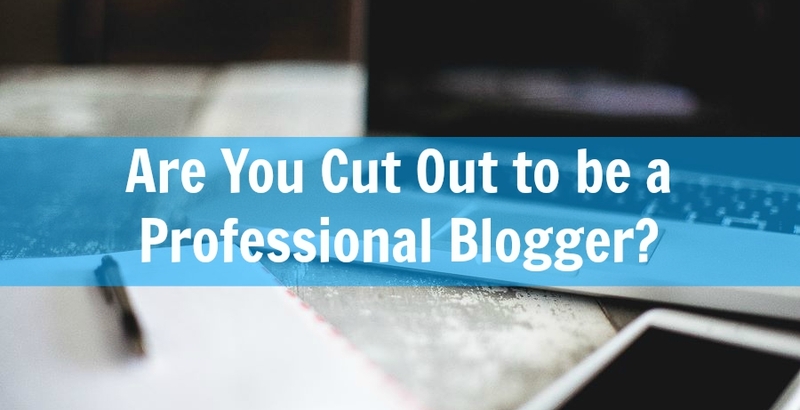 Do you think you’re cut out to be a blogger? I agree with all of these things! Especially being organized! You can be ready to go and have the rest of the things on this list, but if you aren’t organized, you won’t go anywhere! Having a passion for what you are writing about is crucial and frustrating at times Starting out, I literally felt like I was writing for myself, since my Analytics suggested I was the only one reading my blog! As you mentioned, you really have to commit to what you are writing about (even when nobody is reading it) and understand that your hard work will eventually pay off, in the form of page views or income. I personally have a lot to learn to improve my blog, so I look forward to reading your upcoming articles on blogging professionally. Daughter’s wedding in July. That means I’m up to my eyeballs in crafts!!! So I will just monitor (or lurk in the shadows) until August!! Yeah! Sounds great Patti! And, yeah, timing matters when starting a new venture. What would your new blog be about? I was doing pretty good on your check list, till I came to “Organized”!! That’s one of my bug a boos. But, I surely would love to be making money at this fun job! This is really great! I too felt God direct me to blogging. The problem was that I jumped in about a year ago and I haven’t been consistent at all. Right now I am focusing on figuring out my niche because I love so many things. As I read through this post, I remembered that all of these reasons are why I decided to start a blog. I felt encouraged by this post & I subscribed! 😊 you are awesome, thank you! Yeah!! I am so glad!! If you ever have more questions, shoot me an email! I know! It’s so hard to only get 50 pageviews! But, yes, keep believing in yourself and work to improve your blog every day. It can totally be worth it in the end. Being organized is one of the most important things that you should have when you want to pursue blogging as a career. Thank You Katelyn for pointing these out. God Bless! You are welcome! God bless.